The discovery of corticosteroids, more than 50 years ago, represents a remarkable progress in the treatment of inflammatory arthritis. Their anti-inflammatory effects are well known, including the impairment of pro-inflammatory cytokine synthesis and lymphocyte function as well as their adhesion to endothelial cells [1Saag KG. Systemic glucocorticoids in rheumatology In: Hochberg MC SA, Smolen JS, Weinblatt ME, Weisman MH, Eds. Rheumatology. 4th. Philadelphia: Mosby 2008; pp. 411-9.]. During the last decade, the mechanism of action of corticosteroids on the synovial tissue has been analysed, with compelling results. In a randomized, double-blinded, placebo-controlled trial, patients given oral prednisolone 60 mg/day for one week followed by 40 mg/day in the second week (COBRA schedule), exhibited a significant decrease in the number of CD68+ macrophages, but also CD5+ (B and T cells), CD4+ (subset of T cells) and CD163+ (subset of resident macrophages) cells. An analysis of covariance model showed that for CD68+ sublining macrophages, the estimated effect of prednisolone was large. Patients receiving active treatment had markedly fewer macrophages after therapy compared with those receiving placebo. This study identified, from a large panel of synovial biomarkers, sublining macrophages as an optimal marker to evaluate clinical response to corticosteroids. Staining for cytokines showed a reduction of the expression of interleukin (IL)-1β and tumor necrosis factor (TNF), which are mainly produced by macrophages, and there was also a trend towards a reduction of markers associated with neoangiogenesis, such as vascular endothelial growth factor (VEGF), basic fibroblast growth factor (bFGF) and αvβ3 integrin [2Gerlag DM, Haringman JJ, Smeets TJ, et al. Effects of oral prednisolone on biomarkers in synovial tissue and clinical improvement in rheumatoid arthritis Arthritis Rheum 2004; 50(12): 3783-91.]. For patients treated with the same PDN regimen, it has been shown that real time quantitative-polymerase chain reaction (qRT-PCR) might provide additional information regarding treatment efficacy in small proof of principle clinical trials [3Gerlag DM, Boyle DL, Rosengren S, et al. Real-time quantitative PCR to detect changes in synovial gene expression in rheumatoid arthritis after corticosteroid treatment Ann Rheum Dis 2007; 66(4): 545-7.]. Prednisolone markedly decreased IL-8 and matrix metalloproteinases-1 (MMP-1) mRNA expression compared with placebo, and the confidentially intervals excluded the likelihood of no effect. Methylprednisolone pulses were also associated with a rapid (within 24 hours) and significant reduction of inflammatory cytokines such as TNF and IL-8, but not of IL-1β or IL-1Ra. The adhesion molecules, E-selectin and inter-cellular adhesion molecule 1 (ICAM-1), were decreased, suggesting that this could be a possible mechanism of inhibiting neutrophils migration into the synovium [4Youssef PP, Haynes DR, Triantafillou S, et al. Effects of pulse methylprednisolone on inflammatory mediators in peripheral blood, synovial fluid, and synovial membrane in rheumatoid arthritis Arthritis Rheum 1997; 40(8): 1400-8., 5Youssef PP, Triantafillou S, Parker A, et al. Effects of pulse methylprednisolone on cell adhesion molecules in the synovial membrane in rheumatoid arthritis. Reduced E-selectin and intercellular adhesion molecule 1 expression Arthritis Rheum 1996; 39(12): 1970-9.]. It has previously been demonstrated in randomized controlled trials that corticosteroids can improve radiographic progression [6Kirwan JR, Bijlsma JW, Boers M, Shea BJ. Effects of glucocorticoids on radiological progression in rheumatoid arthritis Cochrane Database Syst Rev 2007; (1): CD006356]. In accordance with this clinical effect and the reduced MMP-1 mRNA expression after prednisone therapy, methylprednisolone pulses were able to reduce the expression of MMP-1 and of tissue inhibitor of metalloproteinases 1 (TIMP-1), possibly as a result of the reduction of the number of macrophages, albeit not reaching statistical significance at 24 hours. Of interest, there was no change in MMP3 expression, perhaps contributing to the relatively moderate effect of corticosteroids in preventing joint destruction [3Gerlag DM, Boyle DL, Rosengren S, et al. Real-time quantitative PCR to detect changes in synovial gene expression in rheumatoid arthritis after corticosteroid treatment Ann Rheum Dis 2007; 66(4): 545-7., 7Wong P, Cuello C, Bertouch JV, et al. The effects of pulse methylprednisolone on matrix metalloproteinase and tissue inhibitor of metalloproteinase-1 expression in rheumatoid arthritis Rheumatology (Oxford) 2000; 39(10): 1067-73.]. Intra-articular (IA) corticosteroids injection is a possible therapeutic approach when one or a few joints are affected, sparing patients from the systemic toxicity of oral administration. The mechanism by which IA corticosteroids suppress inflammation in the synovial membrane and the reason for an unpredictable clinical response in daily practice is still not fully elucidated. Previous work has shown that IA corticosteroid treatment results in decreased synovial inflammation [8de Bois MH, Arndt JW, Tak PP, et al. 99Tcm-labelled polyclonal human immunoglobulin G scintigraphy before and after intra-articular knee injection of triamcinolone hexacetonide in patients with rheumatoid arthritis Nucl Med Commun 1993; 14(10): 883-7.]. In all patients the local treatment resulted in a decreased arthritis activity of the treated knee joint as measured clinically or histologically. In another study of thirteen patients, 6 of which had RA, the administration of 40 mg triancinolone hexacetonide IA was accompanied by a significant reduction of the synovial receptor activator for nuclear factor κ B ligand (RANKL) expression, while osteoprotegerin (OPG) expression remained unchanged [9Makrygiannakis D, af Klint E, Catrina SB, et al. Intraarticular corticosteroids decrease synovial RANKL expression in inflammatory arthritis Arthritis Rheum 2006; 54(5): 1463-72.]. S100A12 (calgranulin C), a member of the phagocytic S100 family of calcium-binding proteins that is expressed and secreted by activated granulocytes, has been proposed as a synovial biomarker of clinical response to IA corticosteroids and also to infliximab. S100A12 is expressed in patients with active RA and its serum concentrations correlate with synovial fluid levels and disease activity. In a group of 14 patients, successful treatment with IA corticosteroids led to a decrease of S100A12 sublining expression two weeks after injection in the responders group, the same happening with infliximab at 8 weeks [10Wittkowski H, Foell D, af Klint E, et al. Effects of intra-articular corticosteroids and anti-TNF therapy on neutrophil activation in rheumatoid arthritis Ann Rheum Dis 2007; 66(8): 1020-5.]. Gold has been used in the treatment of RA for more than 60 years; however only a few studies looked at its effects on the synovium, with divergent results. In two studies, synovial T cells numbers were reduced after 6 months of gold treatment [11Walters MT, Smith JL, Moore K, Evans PR, Cawley MI. An investigation of the action of disease modifying antirheumatic drugs on the rheumatoid synovial membrane: reduction in T lymphocyte subpopulations and HLA-DP and DQ antigen expression after gold or penicillamine therapy Ann Rheum Dis 1987; 46(1): 7-16., 12Rooney M, Whelan A, Feighery C, Bresnihan B. Changes in lymphocyte infiltration of the synovial membrane and the clinical course of rheumatoid arthritis Arthritis Rheum 1989; 32(4): 361-9.]. Another study showed a decrease in CD68+ macrophage numbers as well as in the expression of macrophages-derived cytokines (TNF, IL-1β and IL-6), without changes in the number of T or B cells, 12 weeks after initiation of treatment with intramuscular gold or a combination of intramuscular gold with methylprednisolone [13Yanni G, Nabil M, Farahat MR, Poston RN, Panayi GS. Intramuscular gold decreases cytokine expression and macrophage numbers in the rheumatoid synovial membrane Ann Rheum Dis 1994; 53(5): 315-22.]. Methotrexate, the so called anchor-drug in the treatment of RA, was shown to be associated with a decrease in the number of macrophages, T and plasma cells at 16 weeks of successful therapy. Interestingly, corroborating the previously described effect of oral prednisolone, a trend towards an association between clinical improvement and the reduction of CD68+ macrophages scores was depicted [14Dolhain RJ, Tak PP, Dijkmans BA, et al. Methotrexate reduces inflammatory cell numbers, expression of monokines and of adhesion molecules in synovial tissue of patients with rheumatoid arthritis Br J Rheumatol 1998; 37(5): 502-8.]. This relationship was confirmed when other DMARDs were included in the analysis, such as leflunomide, sulphasalazine, hydroxychloroquine and infliximab. The mean change in DAS28 (ΔDAS28) consistently correlated with the mean change in sublining CD68+macrophages (ΔCD68sl) suggesting that macrophages correlate with clinical improvement independently of the therapeutic strategy, probably reflecting a common final pathway regarding their mechanisms of action [15Haringman JJ, Gerlag DM, Zwinderman AH, et al. Synovial tissue macrophages: a sensitive biomarker for response to treatment in patients with rheumatoid arthritis Ann Rheum Dis 2005; 64(6): 834-.]. This correlation was confirmed in different centres indicating that the relationship between CD68+ macrophages and disease activity is reproducible across centres [16Smith MD, Kraan MC, Slavotinek J, et al. Treatment-induced remission in rheumatoid arthritis patients is characterized by a reduction in macrophage content of synovial biopsies Rheumatology (Oxford) 2001; 40(4): 367-74., 17Bresnihan B, Pontifex E, Thurlings RM, et al. Synovial tissue sublining CD68 expression is a biomarker of therapeutic response in rheumatoid arthritis clinical trials: consistency across centers J Rheumatol 2009; 36(8): 1800-2.]. The sensitivity to change of the number of CD68+ sublining macrophages was determined by calculation of the standardized response mean (SRM). After effective DMARDs treatment the SRM for this biomarker was high (>0.8) indicating high sensitivity to change while it was low when ineffective therapies (anti-CCL2 or anti-C5aR) were analysed. Consistent with previous studies, CD68+ macrophages are less susceptible to placebo effects than clinical evaluation (DAS28) indicating a high sensitivity in discriminating between effective and ineffective therapies or placebo [18Smeets TJ, Kraan MC, Versendaal J, Breedveld FC, Tak PP. Analysis of serial synovial biopsies in patients with rheumatoid arthritis: description of a control group without clinical improvement after treatment with interleukin 10 or placebo J Rheumatol 1999; 26(10): 2089-93.-20Baeten D, Houbiers J, Kruithof E, et al. Synovial inflammation does not change in the absence of effective treatment: implications for the use of synovial histopathology as biomarker in early phase clinical trials in rheumatoid arthritis Ann Rheum Dis 2006; 65(8): 990-7.]. Following DMARD treatment (mainly methotrexate and gold) a reduction of the expression of inflammatory cytokines (IL-1β and TNF) and adhesion molecules (E-selectin, ICAM-1 and VCAM-1) has been described, particularly evident in the responder groups [14Dolhain RJ, Tak PP, Dijkmans BA, et al. Methotrexate reduces inflammatory cell numbers, expression of monokines and of adhesion molecules in synovial tissue of patients with rheumatoid arthritis Br J Rheumatol 1998; 37(5): 502-8., 21Smith MD, Slavotinek J, Au V, et al. Successful treatment of rheumatoid arthritis is associated with a reduction in synovial membrane cytokines and cell adhesion molecule expression Rheumatology (Oxford) 2001; 40(9): 965-77., 22Kraan MC, Reece RJ, Barg EC, et al. Modulation of inflammation and metalloproteinase expression in synovial tissue by leflunomide and methotrexate in patients with active rheumatoid arthritis. Findings in a prospective, randomized, double-blind parallel-design clinical trial in thirty-nine patients at two centers Arthritis Rheum 2000; 43(8): 1820-30.]. After 4 months of treatment with either methotrexate or leflunomide, the results were generally similar. Of importance, MMP-1 expression and the ratio MMP-1/TIMP-1 were also diminished after treatment. These changes were, again, more evident in the group that had achieved an ACR20 response [22Kraan MC, Reece RJ, Barg EC, et al. Modulation of inflammation and metalloproteinase expression in synovial tissue by leflunomide and methotrexate in patients with active rheumatoid arthritis. Findings in a prospective, randomized, double-blind parallel-design clinical trial in thirty-nine patients at two centers Arthritis Rheum 2000; 43(8): 1820-30.]. In addition, successful treatment with DMARDs resulted in a reduction of RANKL and increase in OPG expression in the synovium. There was a significant correlation between RANKL, DAS28 and erosion scores, highlighting the benefits of DMARDs in improving radiographic outcomes [23Haynes D, Crotti T, Weedon H, et al. Modulation of RANKL and osteoprotegerin expression in synovial tissue from patients with rheumatoid arthritis in response to disease-modifying antirheumatic drug treatment and correlation with radiologic outcome Arthritis Rheum 2008; 59(7): 911-20.]. The consistent relationship between clinical improvement, associated with protection against joint destruction, and decreased synovial inflammation after DMARD treatment, is in line with the observation that synovitis is a predictor of joint damage [24Cunnane G, FitzGerald O, Hummel KM, et al. Synovial tissue protease gene expression and joint erosions in early rheumatoid arthritis Arthritis Rheum 2001; 44(8): 1744-53.-26Kraan MC, Haringman JJ, Weedon H, et al. T cells, fibroblast-like synoviocytes, and granzyme B+ cytotoxic cells are associated with joint damage in patients with recent onset rheumatoid arthritis Ann Rheum Dis 2004; 63(5): 483-8.]. Examination of serial synovial tissue samples may also provide insight into the mechanisms underlying the resistance to treatment. Loss of efficacy detected with the long-term use of some DMARDs is well known by clinicians but the reasons for this secondary failure are poorly understood. Cell membrane–associated drug efflux transporters belonging to the family of ATP-binding cassette (ABC) proteins have been associated with acquired resistance to anticancer drugs as well as DMARDs. In vitro methotrexate, leflunomide and sulphasalazine can be exported from cells via the breast cancer resistance protein (BCRP). BCRP was recently found to be expressed in macrophages in RA synovial tissue. After 4 months of treatment with methotrexate or leflunomide, high BCRP expression was associated with persistence of infiltrating macrophages and higher DAS28 and C reactive protein (CRP) levels. Similarly, patients who did not respond to treatment had higher BCRP cell counts suggesting that BCRP might be responsible for the efflux of these drugs in macrophages, inducing resistance to therapy [27van der Heijden JW, Oerlemans R, Tak PP, et al. Involvement of breast cancer resistance protein expression on rheumatoid arthritis synovial tissue macrophages in resistance to methotrexate and leflunomide Arthritis Rheum 2009; 60(3): 669-77.]. Taken together, the results above reinforce the importance of macrophages in the pathogenesis of RA (reviewed in ref. 28 and ref. 29) and suggest that the immunomodulatory action of DMARDs might be in part dependent on the down-regulation of cytokines and adhesion molecules with a consequent decrease of the inflammatory synovial cellular infiltrate [28Kinne RW, Stuhlmuller B, Burmester GR. Cells of the synovium in rheumatoid arthritis. Macrophages Arthritis Res Ther 2007; 9(6): 224., 29Hamilton JA, Tak PP. The dynamics of macrophage lineage populations in inflammatory and autoimmune diseases Arthritis Rheum 2009; 60(5): 1210-21.]. These studies have also shown the efficacy of DMARDs in modulating the RANKL/OPG ratio and reducing MMP expression and consequently joint destruction (reviewed in ref. 30) The number of synovial sublining macrophages has been demonstrated to be a reliable biomarker of therapeutic response to DMARDs in clinical trials [30Schett G, Stach C, Zwerina J, Voll R, Manger B. How antirheumatic drugs protect joints from damage in rheumatoid arthritis Arthritis Rheum 2008; 58(10): 2936-48.]. Three TNF antagonists are at present widely used in clinical practice: infliximab, a chimeric monoclonal antibody, adalimumab, a fully monoclonal antibody and etanercept, a TNF-receptor Fc-fusion protein. As observed with conventional DMARDs, TNF antagonists clearly improve the signs and symptoms associated with synovial inflammation. Different mechanisms might contribute to their efficacy in decreasing the synovial infiltrating cells: the impairment of cell migration, cell proliferation and/or cell retention; the reduction of adhesions molecules, cytokines, chemokines and metalloproteinases expression; and the regulation of angiogenesis [31Tracey D, Klareskog L, Sasso EH, Salfeld JG, Tak PP. Tumor necrosis factor antagonist mechanisms of action: a comprehensive review Pharmacol Ther 2008; 117(2): 244-79.]. Studies on the effect of TNF antagonists on synovial cells have demonstrated that cell infiltration is significantly reduced as early as 48 hours, two and four weeks after the first infliximab infusion [32Smeets TJ, Kraan MC, van Loon ME, Tak PP. Tumor necrosis factor alpha blockade reduces the synovial cell infiltrate early after initiation of treatment, but apparently not by induction of apoptosis in synovial tissue Arthritis Rheum 2003; 48(8): 2155-62.-34Tak PP, Taylor PC, Breedveld FC, et al. Decrease in cellularity and expression of adhesion molecules by anti-tumor necrosis factor alpha monoclonal antibody treatment in patients with rheumatoid arthritis Arthritis Rheum 1996; 39(7): 1077-81.]. At 48 hours, the number of intimal CD68+ macrophages was significantly diminished and a trend towards a reduction of sublining CD68+ macrophages, T and plasma cells was also detected [32Smeets TJ, Kraan MC, van Loon ME, Tak PP. Tumor necrosis factor alpha blockade reduces the synovial cell infiltrate early after initiation of treatment, but apparently not by induction of apoptosis in synovial tissue Arthritis Rheum 2003; 48(8): 2155-62.]. An enhancement of apoptosis and cytotoxicity, or an interference with cell trafficking have been proposed to explain the rapid reduction of synovial cellularity, but their exact role remains to be elucidated. Synovial cell hyperplasia is a characteristic of pannus and resistance to apoptosis by fibroblast-like synoviocytes (FLS), T and B cells has been widely demonstrated [35Baier A, Meineckel I, Gay S, Pap T. Apoptosis in rheumatoid arthritis Curr Opin Rheumatol 2003; 15(3): 274-9., 36Ohshima S, Mima T, Sasai M, et al. Tumour necrosis factor alpha (TNF-alpha) interferes with Fas-mediated apoptotic cell death on rheumatoid arthritis (RA) synovial cells: a possible mechanism of rheumatoid synovial hyperplasia and a clinical benefit of anti-TNF-alpha therapy for RA Cytokine 2000; 12(3): 281-8.]. Of interest, using TUNEL assays, a sensitive method for detecting apoptosis induced DNA fragmentation, the number of TUNEL-positive cells in the infliximab treated group was similar to placebo at 48 hours and these results were confirmed by electron microscopy [32Smeets TJ, Kraan MC, van Loon ME, Tak PP. Tumor necrosis factor alpha blockade reduces the synovial cell infiltrate early after initiation of treatment, but apparently not by induction of apoptosis in synovial tissue Arthritis Rheum 2003; 48(8): 2155-62.]. Similar findings were obtained at 1 and 24 hours after treatment, by active caspase 3 staining and other methods, making apoptosis induction as a mechanism underlying the reduction of synovial cellularity less likely [37Wijbrandts CA, Remans PH, Klarenbeek PL, et al. Analysis of apoptosis in peripheral blood and synovial tissue very early after initiation of infliximab treatment in rheumatoid arthritis patients Arthritis Rheum 2008; 58(11): 3330-9.]. Reduced synovial cell counts after TNF antagonist treatment could perhaps be explained by modulation of cell migration. Synovial tissue is most certainly a dynamic tissue in which the number of infiltrating cells is dependent on the balance between their influx, proliferation and efflux [38Thurlings RM, Wijbrandts CA, Bennink RJ, et al. Monocyte scintigraphy in rheumatoid arthritis: the dynamics of monocyte migration in immune-mediated inflammatory disease PLoS One 2009; 4(11): e7865.]. The interaction between inflammatory and endothelial cells is of great importance and is probably mediated by a wide range of cytokines and chemokines. RA synovial tissue endothelial cells express high levels of E-selectin, VCAM-1, ICAM-1 and ICAM-3 and the last 3 have also been identified in other synovial cells including macrophages, FLS and lymphocytes [39Paleolog E. Target effector role of vascular endothelium in the inflammatory response: insights from the clinical trial of anti-TNF alpha antibody in rheumatoid arthritis Mol Pathol 1997; 50(5): 225-33.]. The synovial expression of E-selectin and VCAM-1 was shown to be decreased after infliximab treatment [34Tak PP, Taylor PC, Breedveld FC, et al. Decrease in cellularity and expression of adhesion molecules by anti-tumor necrosis factor alpha monoclonal antibody treatment in patients with rheumatoid arthritis Arthritis Rheum 1996; 39(7): 1077-81.]. A reduction of serum level of E-selectin and ICAM-1 is associated with an increase of circulating lymphocytes early after TNF blockade, possible indicating reduced migration into the synovium [40Paleolog EM, Hunt M, Elliott MJ, et al. Deactivation of vascular endothelium by monoclonal anti-tumor necrosis factor alpha antibody in rheumatoid arthritis Arthritis Rheum 1996; 39(7): 1082-91.]. In addition, the expression of IL-8 and monocytes chemotactic protein (MCP)-1 chemokines on synovial membrane is also down-regulated by anti-TNF therapy, suggesting that TNF antagonists might also act by diminishing chemokine-mediated attraction of leucocytes [39Paleolog E. Target effector role of vascular endothelium in the inflammatory response: insights from the clinical trial of anti-TNF alpha antibody in rheumatoid arthritis Mol Pathol 1997; 50(5): 225-33.]. These data are further supported by the evidence of impairment of neutrophil-trafficking measured by labeled granulocytes gammagraphy after infliximab administration [33Taylor PC, Peters AM, Paleolog E, et al. 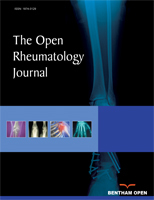 Reduction of chemokine levels and leukocyte traffic to joints by tumor necrosis factor alpha blockade in patients with rheumatoid arthritis Arthritis Rheum 2000; 43(1): 38-47.]. It is at present not clear if this endothelial deactivation is a direct effect of TNF blockade or whether it results from the decrease in macrophages numbers or expression of cytokines produced by the inflammatory cells. Formation of new blood vessels is crucial for the maintenance of hyper-proliferative synovium, through nutrient supply and delivery of inflammatory cells and other inflammatory molecules. Pro-angiogenic factors including cytokines such as VEGF, bFGF, platelet derived growth factor (PDGF), tumor growing factor (TGF) β, TNF, and chemokines such as IL-8 and Groα have been detected in synovial membrane [39Paleolog E. Target effector role of vascular endothelium in the inflammatory response: insights from the clinical trial of anti-TNF alpha antibody in rheumatoid arthritis Mol Pathol 1997; 50(5): 225-33.]. However, the baseline expression of VEGF and bFGF, as well as of E-selectin, ICAM-1 and VCAM-1, were not predictive of response to infiliximab after 16 weeks of therapy [41Wijbrandts CA, Dijkgraaf MG, Kraan MC, et al. The clinical response to infliximab in rheumatoid arthritis is in part dependent on pretreatment tumour necrosis factor alpha expression in the synovium Ann Rheum Dis 2008; 67(8): 1139-44.]. The TNF like weak inducer of apoptosis (TWEAK) has recently been implicated in inflammatory arthritis pathogenesis. Through the interaction with its receptor, the fibroblast growth factor inducible 14 (Fn14), TWEAK can drive FLS to produce cytokines and chemokines, promote bone destruction and develop pro-angiogenic effects. TWEAK and Fn14 are widely expressed in RA synovium, namely in the lining, sublining and perivascular regions, and their co-localization could be detected in FLS and macrophages. Interestingly, infliximab treatment did not modulate TWEAK and Fn14 expression, underlining the additional potential benefits of blocking their activation as a new therapeutic target [42Van Kuijk AW, Wijbrandts CA, Vinkenoog M, et al. TWEAK and its receptor Fn14 in the synovium of patients with rheumatoid arthritis compared to psoriatic arthritis and its response to tumour necrosis factor blockade Ann Rheum Dis 2010; 69(1): 301-4.]. Anti-TNF therapy could finally contribute to the clearance of immune cells from the synovial membrane by increasing their traffic into the lymphatic draining system. Consistent with this hypothesis lymphatic vessels are abundantly present in patients with RA and their formation is increased after infliximab treatment [43Polzer K, Baeten D, Soleiman A, et al. Tumour necrosis factor blockade increases lymphangiogenesis in murine and human arthritic joints Ann Rheum Dis 2008; 67(11): 1610-6.]. Despite the excellent response obtained by most of the patients after anti-TNF treatment, 40% do not respond to these therapies and some of the initial responders develop secondary failure [44Wolbink GJ, Vis M, Lems W, et al. Development of antiinfliximab antibodies and relationship to clinical response in patients with rheumatoid arthritis Arthritis Rheum 2006; 54(3): 711-5., 45Bartelds GM, Wijbrandts CA, Nurmohamed MT, et al. Clinical response to adalimumab: relationship to anti-adalimumab antibodies and serum adalimumab concentrations in rheumatoid arthritis Ann Rheum Dis 2007; 66(7): 921-6.]. Baseline TNF expression has been found to be, at least in part, a determinant of the primary clinical response to infliximab, with responders exhibiting high levels of TNF in the lining and sublining comparing to non responders [41Wijbrandts CA, Dijkgraaf MG, Kraan MC, et al. The clinical response to infliximab in rheumatoid arthritis is in part dependent on pretreatment tumour necrosis factor alpha expression in the synovium Ann Rheum Dis 2008; 67(8): 1139-44.]. Positivity for lymphocyte aggregates further increased the power to predict the clinical response, when analyzed in a prediction model that included baseline disease activity, anti-cyclic citrullinated peptide antibody positivity, and synovial TNF expression [46Klaasen R, Thurlings RM, Wijbrandts CA, et al. The relationship between synovial lymphocyte aggregates and the clinical response to infliximab in rheumatoid arthritis: a prospective study Arthritis Rheum 2009; 60(11): 3217-24.]. Consistent with these results responders to anti-TNF therapy have higher expression levels of genes directly involved in inflammation in the synovial tissue, including those related to immunity and defence, T-cell mediated immunity, cell adhesion, cytokine and chemokine mediated signalling pathway, and macrophage-mediated immunity [47van der Pouw Kraan TC, Wijbrandts CA, van Baarsen LG, et al. Responsiveness to anti-tumour necrosis factor alpha therapy is related to pre-treatment tissue inflammation levels in rheumatoid arthritis patients Ann Rheum Dis 2008; 67(4): 563-6.]. Rituximab, a chimeric monoclonal antibody against the B lymphocyte surface marker CD20, has been used in the treatment of RA for the last 7 years with encouraging results [48Leandro MJ, Edwards JC, Cambridge G. Clinical outcome in 22 patients with rheumatoid arthritis treated with B lymphocyte depletion Ann Rheum Dis 2002; 61(10): 883-.-50Cohen SB, Emery P, Greenwald MW, et al. Rituximab for rheumatoid arthritis refractory to anti-tumor necrosis factor therapy: Results of a multicenter randomized, double-blind, placebo-controlled, phase III trial evaluating primary efficacy and safety at twenty-four weeks Arthritis Rheum 2006; 54(9): 2793-806.]. The recognition of its efficacy in controlling RA manifestations has driven research in this field aiming to explain the role of B cells in RA pathogenesis. Rituximab may cause circulating B cell depletion through antibody-dependent cell-mediated cytotoxicity, complement-dependent cytotoxicity and apoptosis [51Breedveld F, Agarwal S, Yin M, et al. Rituximab pharmacokinetics in patients with rheumatoid arthritis: B-cell levels do not correlate with clinical response J Clin Pharmacol 2007; 47(9): 1119-28.]. The synovial B cell infiltrate in RA patients is very heterogeneous regarding the number of cells and its distribution. B cells might be found as a scarce or diffuse infiltrate, in follicles or integrated in germinal centers as those seen in the lymphoid tissues [52Krenn V, Souto-Carneiro MM, Kim HJ, et al. Histopathology and molecular pathology of synovial B-lymphocytes in rheumatoid arthritis Histol Histopathol 2000; 15(3): 791-8., 53Thurlings RM, Wijbrandts CA, Mebius RE, et al. Synovial lymphoid neogenesis does not define a specific clinical rheumatoid arthritis phenotype Arthritis Rheum 2008; 58(6): 1582-9.]. The almost complete peripheral B cell depletion and the lack of correlation between the degree of depletion and clinical response raises the hypothesis of residual non depleted resident B cells in non-peripheral compartments, including lymphoid and synovial tissues [51Breedveld F, Agarwal S, Yin M, et al. Rituximab pharmacokinetics in patients with rheumatoid arthritis: B-cell levels do not correlate with clinical response J Clin Pharmacol 2007; 47(9): 1119-28.]. Analysing the effect of rituximab on synovial cell populations, a significant decrease in the number CD22+ B cells has been detected in some but not in all treated patients, 4 weeks after the first rituximab infusion. In addition, different patterns of depletion were observed, from a complete clearance of B cells to a partial decrease in synovial B cell number [54Vos K, Thurlings RM, Wijbrandts CA, et al. Early effects of rituximab on the synovial cell infiltrate in patients with rheumatoid arthritis Arthritis Rheum 2007; 56(3): 772-8.]. These results where further confirmed at 16 weeks post-treatment with a trend towards a more pronounced reduction of B cells in patients who had persistent B cell counts at 4 weeks. Moreover, a significant decrease in the number of T cells, macrophages and lymphoid aggregates was also depicted at the group level and a marked reduction of plasma cells in a subset of patients [55Thurlings RM, Vos K, Wijbrandts CA, et al. Synovial tissue response to rituximab: mechanism of action and identification of biomarkers of response Ann Rheum Dis 2008; 67(7): 917-25.]. Other studies have addressed this same question. A complete depletion of CD20+ cells at 12 weeks in 88% of patients after rituximab treatment has been identified but the concomitant use of prednisolone might have influenced these results [56Teng YK, Levarht EW, Hashemi M, et al. Immunohistochemical analysis as a means to predict responsiveness to rituximab treatment Arthritis Rheum 2007; 56(12): 3909-18.]. Another study confirmed the variable reduction of synovial B cells after rituximab treatment [57Kavanaugh A, Rosengren S, Lee SJ, et al. Assessment of rituximab's immunomodulatory synovial effects (ARISE trial). 1: clinical and synovial biomarker results Ann Rheum Dis 2008; 67(3): 402-8.]. Taken together, these studies have shown marked B cell depletion in the peripheral blood, whereas synovial B-lineage cells may persist in some patients. Local protective factors, such as B lymphocyte stimulator (BLyS) and CD55 (decay-accelarating factor (DAF)), and more efficient B cell depletion in the peripheral compartment might explain these results [55Thurlings RM, Vos K, Wijbrandts CA, et al. Synovial tissue response to rituximab: mechanism of action and identification of biomarkers of response Ann Rheum Dis 2008; 67(7): 917-25.]. The secondary decrease in macrophages and T cells highlight the role of B cells in orquestrating synovial inflammation and suggest that the clinical response to rituximab could be predicted by changes in synovial cell types other than B cells. These studies have also analysed the correlation between changes in the synovial cell infiltrate, disease activity and response to treatment. Although the baseline characteristics of the synovium do not appear to predict the response to treatment, the secondary reduction of plasma cells and intimal macrophages between 4 and 16 weeks after initiation of rituximab treatment was associated with the clinical response at 24 weeks. Interestingly, the decrease in plasma cell numbers was also correlated with a reduction of serum anti-citrullinated protein antibodies (ACPA) levels at 16 weeks. In addition, the decrease in circulating ACPAs could be related, at least in part, to changes in synovial short-lived plasma cells, derived from B cells and responsible for autoantibody production [55Thurlings RM, Vos K, Wijbrandts CA, et al. Synovial tissue response to rituximab: mechanism of action and identification of biomarkers of response Ann Rheum Dis 2008; 67(7): 917-25.]. In line with these observations, other investigators found an association between persistence of synovial CD79a+ CD20-B-lineage cells, exhibiting plasma cell morphology, and disease activity after rituximab treatment [56Teng YK, Levarht EW, Hashemi M, et al. Immunohistochemical analysis as a means to predict responsiveness to rituximab treatment Arthritis Rheum 2007; 56(12): 3909-18., 58Teng YK, Levarht EW, Toes RE, Huizinga TW, van Laar JM. Residual inflammation after rituximab treatment is associated with sustained synovial plasma cell infiltration and enhanced B cell repopulation Ann Rheum Dis 2009; 68(6): 1011-6.]. Abatacept, a human cytotoxic T-lymphocyte antigen (CTLA)-4 and Fc-IgG1 fusion protein that blocks the costimulatory signal between CD28 and CD80/CD86, is approved for the treatment of active RA patients, refractory to MTX or to TNF antagonists. The only study that determined the effects of abatacept on the synovium, demonstrated a moderate, although statistically significant decrease of CD20+ B cells at day 120 in RA patients who failed TNF antagonists. The lack of reduction of T cell counts is probably consistent with a more immunomodulatory effect on T cell activation rather than a direct effect on cell depletion; binding of abatacept to CD80/CD86 on B cells should also be considered. In parallel to the mild changes in synovial cell infiltrate there was a marked decrease in pro-inflammatory gene expression in the synovial tissue, including interferon γ, IL-1β, MMP-1 and MMP-3, which was also statistically significant when comparing responders to non responders [59Buch MH, Boyle DL, Rosengren S, et al. Mode of action of abatacept in rheumatoid arthritis patients having failed tumour necrosis factor blockade: a histological, gene expression and dynamic magnetic resonance imaging pilot study Ann Rheum Dis 2009; 68(7): 1220-7.]. Complement has been considered to be implicated in RA pathogenesis and recently it was shown that, in vitro, ACPA are able to activate complement [60Trouw LA, Haisma EM, Levarht EW, et al. Anti-cyclic citrullinated peptide antibodies from rheumatoid arthritis patients activate complement via both the classical and alternative pathways Arthritis Rheum 2009; 60(7): 1923-31.]. Complement proteins and its receptors can be locally produced and activated in the RA synovial membrane [61Neumann E, Barnum SR, Tarner IH, et al. Local production of complement proteins in rheumatoid arthritis synovium Arthritis Rheum 2002; 46(4): 934-45.]. Different molecules that block the possible role of C5a in recruiting and activating synovial inflammatory cells have been developed. One of these is PMX53 (Promics Ltd), an orally active hexapeptide that selectively antagonizes CD88, the C5a receptor. A double-blind, placebo-controlled proof of principle phase 1b trial demonstrated no evidence of clinical efficacy. Consistently, PMX53 did not reduce the synovial inflammatory cell infiltrate (including C5aR+cells and macrophages) or the expression of inflammatory cytokines (IL-6, IL-1β and TNFα) [62Vergunst CE, Gerlag DM, Dinant H, et al. Blocking the receptor for C5a in patients with rheumatoid arthritis does not reduce synovial inflammation Rheumatology (Oxford) 2007; 46(12): 1773-8.]. CCL2/ monocyte chemotactic protein (MCP)-1 is the ligand for CCR2 on monocytes, T cells, dendritic cells, basophils and natural killer cells. It is highly expressed in RA synovium where it is mainly produced by macrophages [63Iwamoto T, Okamoto H, Toyama Y, Momohara S. Molecular aspects of rheumatoid arthritis: chemokines in the joints of patients FEBS J 2008; 275(18): 4448-55., 64Haringman JJ, Smeets TJ, Reinders-Blankert P, Tak PP. Chemokine and chemokine receptor expression in paired peripheral blood mononuclear cells and synovial tissue of patients with rheumatoid arthritis, osteoarthritis, and reactive arthritis Ann Rheum Dis 2006; 65(3): 294-300.]. Based on the concept that blocking inflammatory cell migration into the synovial would improve arthritis in RA patients, the efficacy of a human monoclonal antibody directed against CCL2/MCP-1 (ABN912; Novartis Pharma AG) was tested [65Haringman JJ, Gerlag DM, Smeets TJ, et al. A randomized controlled trial with an anti-CCL2 (anti-monocyte chemotactic protein 1) monoclonal antibody in patients with rheumatoid arthritis Arthritis Rheum 2006; 54(8): 2387-92.]. ABN912 treatment was not associated with any clinical or immunohistologic improvement and in fact dose dependent increases in C-reactive protein concentrations, sublining macrophage numbers and CCL2/MCP-1 serum levels were detected. MLN202, an anti-CCR2 antibody (Millenium Pharmaceuticals Inc.) was also evaluated in a proof of principle trial, but again no clinical or synovial improvement was identified, suggesting that using these compounds in larger clinical trials would not translate into any clinical benefit [66Vergunst CE, Gerlag DM, Lopatinskaya L, et al. Modulation of CCR2 in rheumatoid arthritis: a double-blind, randomized, placebo-controlled clinical trial Arthritis Rheum 2008; 58(7): 1931-9.]. In RA patients the percentage of CCR1 and CCR5 positive peripheral blood monocytes cells is decreased when comparing to healthy controls, but they are highly expressed in the synovial tissue [64Haringman JJ, Smeets TJ, Reinders-Blankert P, Tak PP. Chemokine and chemokine receptor expression in paired peripheral blood mononuclear cells and synovial tissue of patients with rheumatoid arthritis, osteoarthritis, and reactive arthritis Ann Rheum Dis 2006; 65(3): 294-300.]. The potential benefits of blocking CCR1, using CP 481,715 (Pfizer Inc.), an oral CCR1 antagonist, were studied in a small-placebo controlled proof of principle trial. Two weeks after treatment there was a significant reduction of synovial macrophages and CCR1 positive cells together with a trend towards clinical improvement as compared to placebo [67Haringman JJ, Kraan MC, Smeets TJ, Zwinderman KH, Tak PP. Chemokine blockade and chronic inflammatory disease: proof of concept in patients with rheumatoid arthritis Ann Rheum Dis 2003; 62(8): 715-21.]. The use of another CCR1 antagonist, MLN3897, Millennium Pharmaceuticals Inc.), did not result in clinical improvement in RA [68Vergunst CE, Gerlag DM, von Moltke L, et al. MLN3897 plus methotrexate in patients with rheumatoid arthritis: safety, efficacy, pharmacokinetics, and pharmacodynamics of an oral CCR1 antagonist in a phase IIa, double-blind, placebo-controlled, randomized, proof-of-concept study Arthritis Rheum 2009; 60(12): 3572-81.]. Thus, it is at present unclear whether blockade of CCR1 at optimal levels of receptor occupancy might be sufficient to induce amelioration of RA. The systemic administration of human recombinant IL-10 in active RA patients showed no improvement of cell infiltration or cytokine expression in accordance with a lack of clinical benefit [18Smeets TJ, Kraan MC, Versendaal J, Breedveld FC, Tak PP. Analysis of serial synovial biopsies in patients with rheumatoid arthritis: description of a control group without clinical improvement after treatment with interleukin 10 or placebo J Rheumatol 1999; 26(10): 2089-93.]. Evaluation of the effect of systemic treatment with interferon β (IFN β) on the synovial tissue from RA patients showed a modest reduction of CD3+ T cells, but no statistically significant change in CD68+ macrophages, in 11 RA patients; this effect was lost 3 months after therapy [69Smeets TJ, Dayer JM, Kraan MC, et al. The effects of interferon-beta treatment of synovial inflammation and expression of metalloproteinases in patients with rheumatoid arthritis Arthritis Rheum 2000; 43(2): 270-4.]. Consistent with these results, a double-blind, placebo-controlled clinical trial in 209 RA patients showed no improvement after treatment with either 2.2 mg or 44 mg of IFNβ, given subcutaneously three times weekly for 24 weeks compared to placebo [70van Holten J, Pavelka K, Vencovsky J, et al. A multicentre, randomised, double blind, placebo controlled phase II study of subcutaneous interferon beta-1a in the treatment of patients with active rheumatoid arthritis Ann Rheum Dis 2005; 64(1): 64-9.]. It remains to be determined whether other dosing regimens or other routes of administration may be more effective. Alemtuzumab (Campath-1H), a humanized antibody against CD52 that is broadly expressed on lymphocytes and macrophages, did not decrease synovial T cells in two patients with recurrent synovitis after treatment, despite inducing profound depletion of circulating lymphocytes (mainly CD4+ cells) [71Ruderman EM, Weinblatt ME, Thurmond LM, Pinkus GS, Gravallese EM. Synovial tissue response to treatment with Campath-1H Arthritis Rheum 1995; 38(2): 254-8.]. The further evaluation of alemtuzumab for treatment of RA was discontinued due to anxieties related to prolonged therapy-induced lymphopenia. The chimeric anti-CD4 monoclonal antibody cM-T412, when administered intravenously, for five days, to 7 patients, significantly decreased the synovial T cells, the expression of adhesion molecules and peripheral CD4+ cells counts. There was however no statistically significant reduction of CD68+ macrophages and there was no clinical improvement [72Tak PP, van der Lubbe PA, Cauli A, et al. Reduction of synovial inflammation after anti-CD4 monoclonal antibody treatment in early rheumatoid arthritis Arthritis Rheum 1995; 38(10): 1457-65.]. The lack of efficacy was convincingly shown in a double-blind, placebo-controlled multicenter trial in 64 patients receiving concomitant methotrexate [73Moreland LW, Pratt PW, Mayes MD, et al. Double-blind, placebo-controlled multicenter trial using chimeric monoclonal anti-CD4 antibody, cM-T412, in rheumatoid arthritis patients receiving concomitant methotrexate Arthritis Rheum 1995; 38(11): 1581-8. ].